Ideal Water commercial water treatment equipment is designed and installed to provide businesses the highest quality systems at the most reasonable costs. Using premium valves, media and tanks; Ideal Water builds its systems with longevity and reliability in mind. We will design a system which will allow business owners to focus on their business, while the Ideal Water system provides years of efficient, maintenance free treatment of the water. 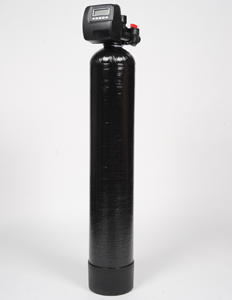 Ideal Water builds our commercial water softeners in-house; sourcing the best products, and controlling the assembly allows for the highest quality to be delivered to the consumer. Whether you need a single tank system or have a 24-hour demand for soft water and require a twin alternating system, you can be assured that the system you get from Ideal Water will extremely efficient and provide you years of service. Ideal Water offers a couple of different methods of removing heavy iron and sulfur from the water. 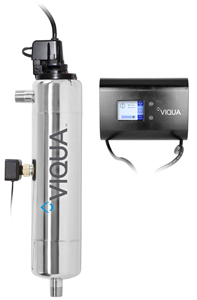 Depending on your water quality and your specific goals to be achieved, we will build the right product for you. The needs of a commercial systems may be quite different than that of a residential unit. Contact us and we can discuss the parameters which are important to you. 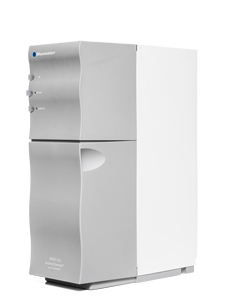 Commercial reverse osmosis (RO) systems vary greatly. Although we have access to many brands on the market, Bluewater’s Spirit and Pro systems are a couple of the best units available today. These units are designed to continuously produce high quality water for up to 56 minutes before needing to flush themselves. RO water tastes better, makes clearer ice cubes and enhances the flavor profile of tea and coffee, and when used for rinsing salad greens and vegetables, will have a higher rate of removing foreign matter than regular tap water. RO water can also be used to leave a spot free shine on your dishes. Commercial Ultra-Violet systems require NSF certification and must be installed with a solenoid valve and meter to ensure proper dosing of the water. 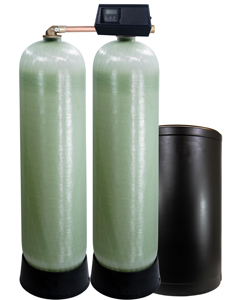 Ideal Water can recommend a system to best fit your application.